View More In Pistol Cases - Page 3. The g-outdoors GPS double compact pistol case is the perfect choice for the individual who needs a soft case to travel to and from the range or for storing a firearm at home. This particular case will hold up to 2 compact size pistols along with their accessories. With specialized pockets for extra magazines. The heavy duty zippers are lockable providing you with extra security. 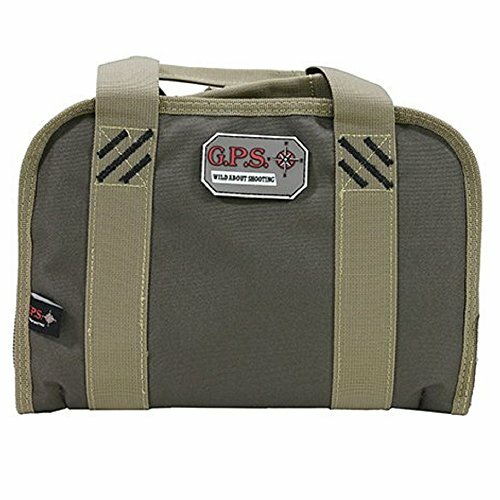 Features: visual ID storage system, specialized pockets, lockable heavy-duty zippers, and ammo dump cup. If you have any questions about this product by G.P.S., contact us by completing and submitting the form below. If you are looking for a specif part number, please include it with your message.